Who would like contribute their time and effort on the social service to provide humanitarian service. You are invited to join a social organization of Community Leaders dedicated to bring the necessary changes in Nepal. As a member, you can participate in various activities carried out by the organization as well as play a major role on decision making procedure. National and international individuals and institutions are encouraged to apply for the membership. The membership lasts for 1-year for ordinary and associate members and then it is subject to renew. An ordinary membership shall be given to any individuals. 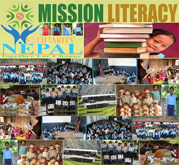 Ordinary members at Solidarity Nepal are officially authorized individuals, who can take participate in the annual meeting of the organization. A single ordinary member in the organization might also accept other legal entities as supporting member. 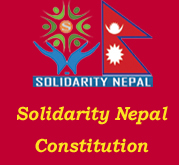 Prospective members must meet the eligibility criteria as stipulated by the constitution of Solidarity Nepal. Any individual can obtain lifetime membership of the organization. Those members are also eligible to participate in various activities of organization as well as play major role on annual meetings. A lifetime member also may accept other legal entities as supporting member. We are pleased to invite any national and international organization/institutions to join their hand with us in order to organize various social service activities in the various part of country and we offer them an associate membership. An honorary member of Solidarity Nepal shall be given to any person who contributes to the advancement of the organization and its mission. The honor members are not eligible to take a part in the meeting of the organization but they will remain as a respective person in the organization. 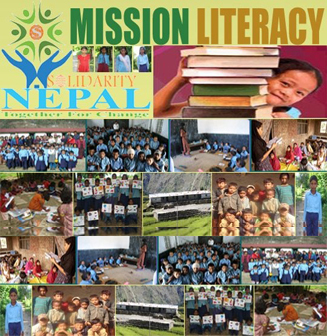 Bellow is the general criteria of obtaining membership at Solidarity Nepal. The prospective member should have no crime charge has been recorded. He/she should not have abnormal characteristics or behaviors. He/she should be sound in mental order. The prospective member should pay membership fee as applicable. The membership shall be terminated within the following condition. If the resignation is approved by the President. If fail to renew the membership. If found guilty at any legal cases. If the member is accused by executive committee at any legal or social ground. If the member is found at any mental disorder. If found guilty upon any legal ground.